Wasting hours, money and labor to standardize your Protein assays? Easy and Economical. No mess ……. Total value for Money !! 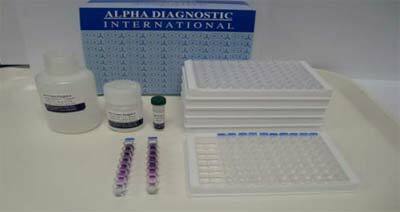 Pre-coated BSA or BGG standard plates and blank assay plates can be ordered separately. The Enhanced BCA Protein Assay measures total protein concentration using bicinchoninic acid (also known as the BCA assay or Smith assay). BCA is a biochemical assay for determining the total level of protein in a solution, similar to Lowry protein assay, Bradford protein assay or biuret reagent. The total protein concentration is exhibited by a color change of the sample solution from green to purple in proportion to protein concentration, which can then be measured using colorimetric techniques. This method is based on the reduction of Cu+2 to Cu+1 by protein in an alkaline medium (the biuret reaction) with the highly sensitive and selective colorimetric detection of the cuprous cation (Cu+1) using a reagent containing bicinchoninic acid.1 The assay involves the chelation of two molecules of BCA with one cuprous ion. The bicinchoninic acid Cu1+ complex is aided in protein samples by the presence of cysteine, cystine, tyrosine, and tryptophan side chains. At higher temperatures (37oC to 60oC), peptide bonds assist in the formation of the reaction product. Incubating the BCA assay at higher temperatures is recommended as a way to increase assay sensitivity while minimizing the variances caused by unequal amino acid composition. This water-soluble protein complex exhibits a strong absorbance at 562 nm that is nearly linear with increasing protein concentrations over a broad working range (16-1,000 μg/ml). Protein concentrations generally are determined and reported with reference to standards of a common protein such as bovine serum albumin (BSA) or bovine gamma globulin (BGG). A series of dilutions of known concentration are precoated for the protein and assayed alongside the unknown(s) before the concentration of each unknown is determined based on the standard curve. ADI’s Enhanced BCA ELISA is a specific and sensitive assay for proteins. This kit is designed to measure protein concentration in purified proteins or cell or tissue extracts from mammalian (human, mouse, rat), plant or bacterial origin. The assay can be performed at either 37oC or ambient room temp (25-28oC). Firstly, the peptide bonds in protein reduce Cu2+ ions from the cupric sulfate to Cu1+ (a temperature dependent reaction). The amount of Cu2+ reduced is proportional to the amount of protein present in the solution. Next, two molecules of bicinchoninic acid chelate with each Cu1+ ion, forming a purple-colored product that strongly absorbs light at a wavelength of 562 nm. The bicinchoninic acid Cu1+ complex is aided in protein samples by the presence of cysteine, cystine, tyrosine, and tryptophan side chains. At higher temperatures (37oC to 60oC), peptide bonds assist in the formation of the reaction product. Incubating the BCA assay at higher temperatures is recommended as a way to increase assay sensitivity while minimizing the variances caused by unequal amino acid composition. Measuring the absorption spectra and comparing with protein solutions with known concentrations can quantify the amount of protein present in a solution. Pipettors and pipettes that deliver 1-200ul. A multi-channel pipettor is recommended. Disposable glass or plastic 5-15ml tubes for diluting samples and BCA Protein Assay Reagent A. The Enhanced BCA Protein Assay ELISA Kit is for research use only. MSDS for Enhanced BCA Protein Assay Reagents A and B, if not already on file, can be requested or obtained from the ADI website. Samples can consists of purified proteins or cell or tissue lysates prepared in various buffers. It is important to keep the concentration of various salts, detergents and other additives to an acceptable range. Please consult the list of compatible and incompatible reagents. Dilute the protein solutions to bring them to about 1 mg/ml range before testing. Enhanced BCA Protein assay requires 200 μl of working reagent per well. Determine the total number of samples plus 8 duplicate standards including blank. Mix reagent A and B in 50:1 ratio (10 ml of A and 0.2 ml of B for 100 tests). Prepare just before the assay. Working reagent can be stored at room temp for several hours. The pre-coated micro titer well plate (at 2-8oC) and all other reagents (at room temp), if unopened, are stable until the expiration date printed on the box label. Typical protein-to-protein variation in color response is listed in Table 2 below. All proteins were tested at 1 mg/ml and normalized to BSA. It is best to use the protein as standard that are good representative of the test protein. Table 2. Protein-to-protein variation. Absorbance ratios (562 nm) for proteins relative to BSA. ALLOW ALL REAGENTS TO REACH ROOM TEMPERATURE BEFORE USE. Strips are pre-coated with 0, 0.3125, 0.625, 1.25, 2.5, 5, 10 and 20 ug BSA in wells A1 thru H1 respectively. Coated plates are marked blue line at the top. ALL STEPS ARE PERFORMED AT ROOM TEMPERATURE or at 37oC. After each reagent addition, gently tap the plate to mix the well contents prior to beginning incubation. Add 20 ul of samples and controls each to bottom of pre-determined wells (working range 0-20 μg/well). Note: sample volume can be adjusted from 5-20 ul, we recommend 20 ul. Add 200ul of Enhanced BCA Protein assay working reagent to all wells. Tap the plate gently for 5-10 seconds to mix reagents. Cover plate with the supplied cover and incubate for 60 min at 37oC or room temp for 2 hrs. There is no need to shake the plate. Use any commercially available micro plate reader capable of reading at 562 nm wavelength (540 nm filter and other filters in this range can also be used). Use a program suitable for obtaining OD reading. and data calculations if available. It is possible to take a reading at 1 hr and then at 2 hrs. For samples with high conc, 1 hr reading may give acceptable reading. NOTES: Read instructions carefully before the assay. Since timing of the incubation steps is important to the performance of the assay, pipet the samples without interruption and it should not exceed 5 minutes to avoid assay drift. If more than one plate is being used in one run, it is recommended to include a standard curve on each plate. The unused strips should be stored in a sealed bag at 2-8oC. Addition of the Enhanced BCA Protein assay working reagent starts a kinetic reaction. Plate readers measure absorbance vertically. Do not touch the bottom of the wells. Samples containing more than 1 mg/ml protein should be further diluted with water and re-tested. The results obtained should be multiplied by the appropriate dilution factor. It is possible to use normal saline or PBS for sample dilution if larger volumes of samples are taken for dilution or if more sample diluent is required. Calculate the mean absorbance for each duplicate. Subtract the absorbance of the zero standard from the mean absorbance values of standards and samples. Draw the standard curve on graph paper by plotting net absorbance values of standards against appropriate protein concentrations. Read off the protein concentrations of the control and samples. Multiply the values by the dilution factor of the samples. Detection Limit: Based on 6 replicate determinations of the zero standards, the minimum protein concentration detectable using this assay is ~0.3 μg/well. Certain substances, behaving as chelating or reducing agents, can interfere with the Enhanced BCA Protein assay at even trace amounts. These include ascorbic acid, catecholamines, creatinine, cysteine, glycerol, hydrogen peroxide, hydrazides, lipids, phenol red, sucrose, tryptophan, tyrosine and uric acid. The following procedures can be utilized to minimize the effects of the interfering substances: Removal by Dialysis or gel filtration. ; Dilution with water; Precipitation and subsequent dissolution of protein in pure water. summarizes the compatibilities of common laboratory sample components with Enhanced BCA Protein Assay. The values represent the maximum compatible concentration of substances in the protein sample. Substances were tested individually in BSA samples and were considered compatible if they affected the measurement value less than 10%. . Actual samples, which normally contain several different buffer and other components, may behave differently. NOTE: These data are for demonstration purpose only. A complete standard curve must be run in every assay to determine sample values. Each laboratory should determine its own normal reference values. A typical assay Standard Curve is shown (do not use this for calculating sample values) Blue=37oC 1 hr assay; Red=2 hrs at room temp. Table 2. Compatible Substances concn. in Enhanced BCA Protein Assay.